A blow to statehood goal? PA cannot pay salaries, blames donor countries. The Palestinian Authority will pay its workers only half their usual salaries for the month of June, PA Prime Minister Salam Fayyad announced Sunday. The decision not to pay full salaries was made due to the PA's monthly deficit of $30 million, he said. 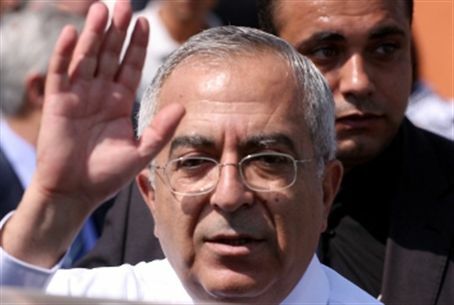 Fayyad blamed the crisis on unfulfilled promises. Donor countries promised aid but did not deliver, leaving the PA with $331 million in international aid in the first half of 2011 instead of an expected $900 million. The salary crisis may undermine PA leaders' claims that they are ready for statehood. The PA is hoping for UN approval for the unilateral creation of a new Arab state in Judea, Samaria and Gaza in September, despite leaders' refusal to negotiate with Israel. The PA had sought $5 billion this year to help it launch a state. However, Western donor countries have largely rejected the PA's attempts to unilaterally declare a state, while many Arab countries face problems of their own with rebellions in Tunisia and Egypt and uprisings in Syria, Yemen, and Bahrain.